The Americans are coming The Americans are coming! Sounds like the U.S. revolutionary war when they shouted, “the British are coming!” but this time it’s ITV screaming about their new acquisition: The Americans TV show is coming to the UK. The United Kingdom’s ITV has signed an agreement with Twentieth Century Fox Television Distribution for the broadcast rights to upcoming spy drama The Americans. The British network has made a two-year commitment for the series and expects to premiere it in the coming months. 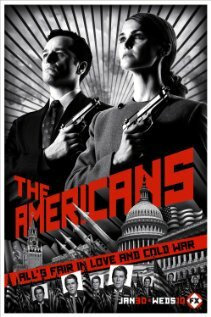 In the U.S., The Americans is slated to premiere Wednesday at 10 p.m. on FX. The Cold War-era drama centers on the arranged marriage between two KGB spies who pose as an American couple. If you haven’t seen the Americans you really should. ITV wouldn’t be bringing it across the pond if it wasn’t worth your while. What do you think about the outsourcing of British television to the United States? Do you approve or disapprove? Perhaps you should mention your nationality when you comment!